On Saturday, November 2nd, Karen Betts joined other leading members within the aesthetic and dental industry at the prestigious Lancaster London Hotel for the inaugural MyFaceMyBody Awards. The evening had an international guest list and showcased which brands, products and services consumers love and highlighted what the likely trends for 2014 are likely to be. 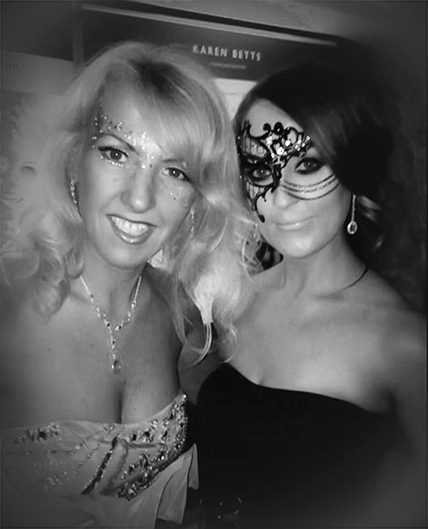 Karen was both a sponsor for the glamorous event, which saw people donning beautiful head pieces in line with the masquerade ball theme, as well as sitting on the judge’s panel. The glitzy event raised cash for Bridge2Aid, a dental charity providing vital dental pain relief and training for healthcare workers to deliver sustainable dentistry in the developing world. Karen was part of a panel of experts who studied all award entries and came up with a shortlist which consumers then voted on. In her stunning gown, Karen took to the stage to present the winners of the ‘Best Clinic Team’ category, Highgate Dental Practice, with their award.